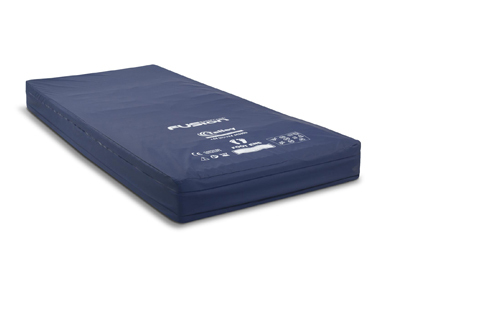 The FUSION Response is a non-powered, foam and air hybrid bed mattress that automatically responds to the patient to provide a reactive, constant low pressure support surface for basic pressure area care needs. 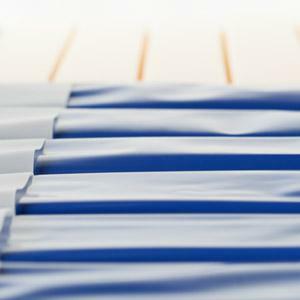 This non-powered, foam and air hybrid bed mattress provides a reactive, constant low pressure support surface for basic pressure area care needs. Responsive Airflow redistribution allows air to flow between interconnected cells in response to patient weight, movement and position. As patients move, the valve assisted Automatic Pressure Recovery system allows the mattress to re-inflate to normalise mattress pressures. 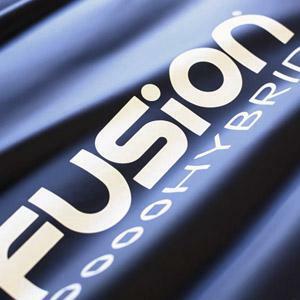 The FUSION Hybrid support surface is designed in 3 zones to provide specific support to the head, torso and heels. The cells in the heel zone are intentionally smaller to help protect this vulnerable area of the patient. Every air cell contains specialist pressure redistributing foam to help support the patient and protect their pressure areas. 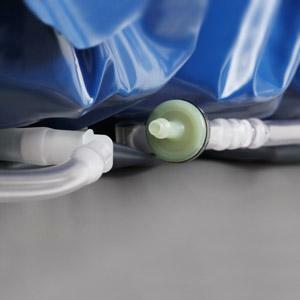 The multi-stretch cover helps reduce shear and friction during patient movement or manual repositioning. 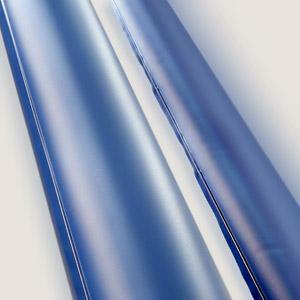 Waterproof, yet breathable, all seams are welded to protect the inside of the mattress from fluid ingress. Responsive Airflow redistribution customises patient support by allowing air to flow between interconnected cells in response to patient weight, movement and position. As patients move, the valve assisted Automatic Pressure Recovery system allows the mattress to re-inflate to normalise mattress pressures.